Compare and save on merchant services for any business type. Find a local merchant provider in the Dallas-Fort Worth Metroplex and compare credit card processing rate quotes. Compare Credit Card Processing Rates to Get the Best Deal! Answer a few questions so we can connect you with the best providers. Complete the form online quick, easy, and secure. Get QUICK responses from sellers who’ll provide competitive price quotes to compare. No obligations to buy! Save time and money and know you got the best deal from a provider of your choice. Dealers compete and you get the best deal! We specialize in merchant services and point of sale systems for restaurants, bars, retail, hospitality, and service industries. We are partnered with Harbortouch to provide the most feature-rich POS systems and cost-effective credit card processing you would expect as a business owner. We have a local rep ready to meet with you to discuss your credit card processing and POS system needs. 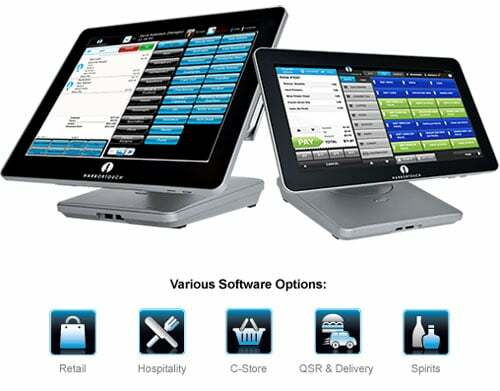 Harbortouch has several POS systems options for you to choose from for your restaurant, retail or hospitality business. Harbortouch POS solutions are the perfect business management tool for running your company more effectively and efficiently. We have solutions for every business type with Harbortouch products like Bar and Restaurant, Hospitality, Echo for small business, Retail, and Salon and Spa. Apply today for your free POS software and hardware. Options starting at $29 per month! 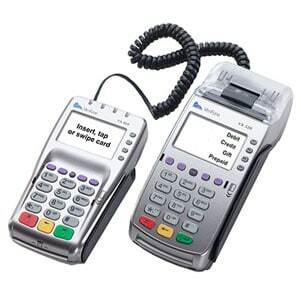 The Verifone VX 520 can accept Apple Pay, Google Wallet or other NFC payment apps. It’s also EMV-enabled to accept smart cards. Dallas Merchant Services specializes in credit card processing, cash registers, and point of sale systems for restaurants, bars, retail shops, hospitality, salons, and service industries. 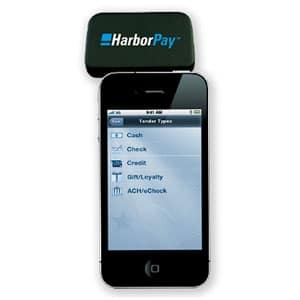 We are partnered with Harbortouch to provide the most cost effective merchant services for your industry. We also represent multiple POS solutions for nearly any business type. Professional, personal, and local. If you’re looking for someone that cares about you and your business, you’ve found the right company. Few can offer the quality and level of service that we have to offer. Asking the right questions, understanding your business, and finding the right solutions are our specialty. Our agents truly work for you and want to see all of our customers succeed. Are you getting the best merchant service rate with your existing processor? Do you know for sure? Let us give you an honest assessment and a second opinion on your current credit card processing rates. We have saved customers thousands of dollars on their merchant services by simply doing a free rate review. If we can’t save you money and you’re getting a fair price, we’ll let you know that too. If you need a new merchant account with Interchange Plus rates, don’t hesitate, get a quote now. It’s time for a fresh approach for credit card processing services and POS systems by discovering your needs and finding the right solutions for you and your business. We want to help you see the possibilities by providing a ton of value with absolutely no high pressure or annoying sales tactics. You can expect fast, friendly, and professional services. We now also offer credit card processing in Fort Worth, Texas! We are your complete source for the best credit card processing in the Dallas-Fort Worth, Metroplex and all of Texas. With our total merchant services, we offer a variety of comprehensive products and solutions, ranging from affordable credit card processing and payroll services to enterprise-quality networking and POS solutions for your particular industry. As local agents since 2004, you’ll benefit from our business experience representing the largest payment processing companies in the country. We specialize in getting you the best rates with transparent Interchange Plus pricing. Get a credit card processing account and point of sale system for your business that’s secure, reliable, and fast at the best rates available. Get fair, transparent Interchange Plus pricing and data security that set the industry standard. With the ever changing landscape for accepting credit cards, you’ll need a payment processing partner that knows the latest technology and provides high-quality service and support. Need to accept mobile or remote payments? We’ve got you covered. Accept credit card payments anywhere with a mobile payment App or with a virtual merchant account. Get a virtual terminal or mobile device to supplement your current payment configuration with your existing credit card machine or POS System. It’s smart to protect your business and to get a dial-up or mobile backup terminal if your credit card terminal or POS isn’t working for any reason. At Merchant Services Dallas, if you need a point of sale system to accept credit cards, all of our systems offer integrated processing solutions. Need a new POS system or cash register to compliment your payment services? We can help. With all the options on the market, it can be a daunting task to select the best POS system for your business. 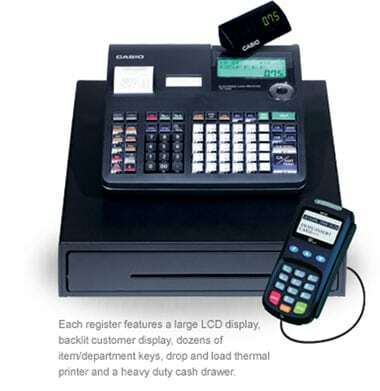 We offer the latest touchscreen and cash register systems from Harbortouch. We also offer mobile payments and iPad POS systems like POSLavu and ShopKeep. If you prefer a more traditional point-of-sale approach for your restaurant, we are also local dealers for several PC and Android-based POS systems. Either way, if you’re looking for credit card processing and POS software and hardware solutions, then you’ve come to the right place. Check out some of the great things we have to offer. There are many types of POS software solutions on the market, and we can help you find the perfect one. Depending on your specific requirements and the industry you work in, our services can help you make the right decision to avoid frustrations and unnecessary expenses in the future. We are premier resellers for Harbortouch, ShopKeep, POSLavu and other tablet-based and traditional touchscreen computers. At Dallas Merchant Services we enjoy discovering the possibilities for your business and finding the perfect cash register system for your restaurant, bar or small business. So if you are shopping for a brand new iPad point of sale or need to replace an aging legacy POS terminal, we’ve got custom solutions available with our integrated credit card processing services. Contact us to find out how to get the perfect system for your environment and to get the best return on your investment. If you’re looking for a Texas POS company, we can highly recommend our local partners Dallas POS Systems. Here is their contact information. Our clients span the Dallas-Fort Worth (DFW) Texas, Metroplex and throughout the United States. With a firm commitment to our customer base; there is no need to worry about customer support. With tens of thousands of customers and counting, you cannot go wrong with our credit card processing services and POS systems. Check out what a few Harbortouch customers have to say. Join The Satisfied Dallas Merchant Services Users! 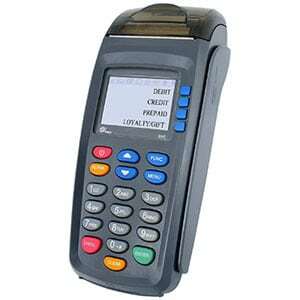 *Our online advertised rates are subject to credit approval and apply to the VX520 credit card terminal only. Rates may vary depending on your credit history. Harbortouch’s free equipment/POS system and free hardware replacement offer requires a Service Agreement and a Merchant Transaction Processing Agreement. For complete details, please see Harbortouch’s Terms and Conditions. Shipping costs apply for all equipment.